Good Morning!! It's such a beautiful day here! Thank goodness I worked on a lot of projects over the weekend because all I want to do is be outside with my son after work and school. For today's card I pulled out the Chantilly paper that came with the CTMH consultant kit again. I am in love with these papers, the colors are just perfect for this time of year! This is a standard 4 1/4 x 5 1/2 card. 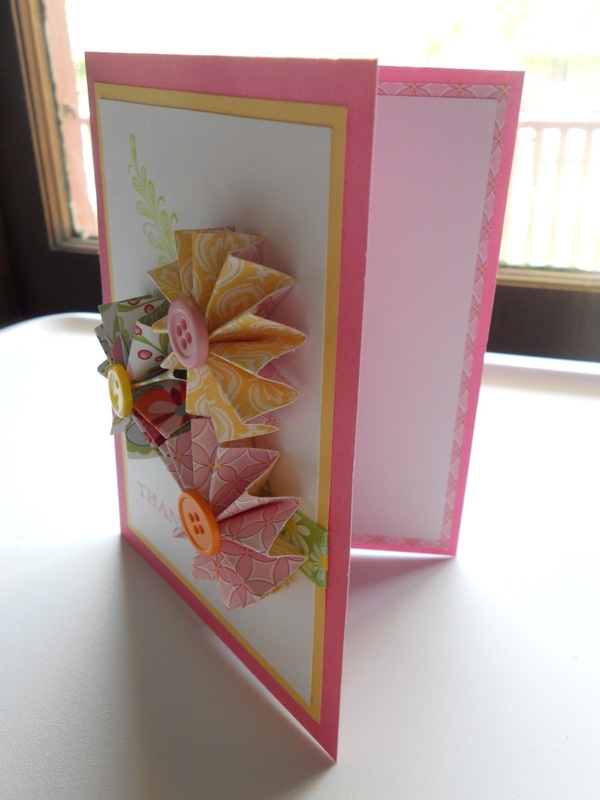 I used Cotton Candy as the card base and Buttercup and White Daisy for the mats. The ribbon is from my ribbon stash. 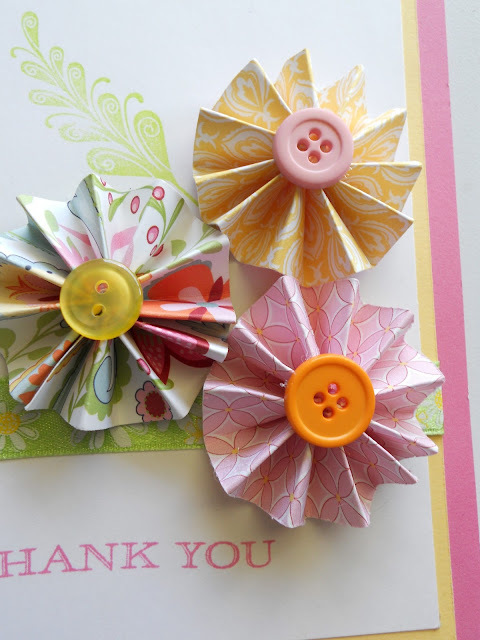 I used the Chantilly papers for the rosettes and buttons from my button stash. 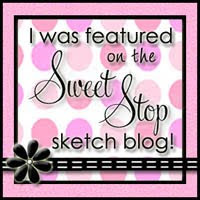 The flourish stamp is from the set included with the Chantilly Scrapbooking Workshop On the Go. 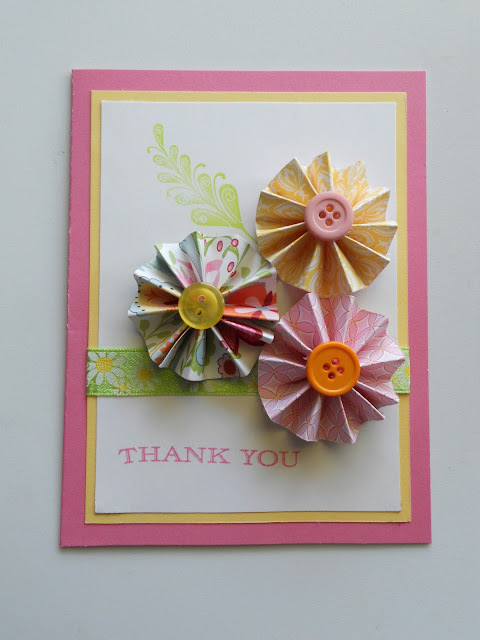 The Thank You stamp is from set D1542 For a Friend Occasions. I matted the inside with another Chantilly pattern paper and White Daisy cardstock and left blank. 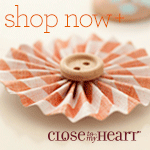 If you are interested in products to make this card yourself, click on the Close To My Heart Shop Now button. If you are interested in purchasing this card, click on the link to my Etsy Shop. I'll be back tomorrow with another Cricut card. I hope you all have a fabulous day!